Ahhh, Burg Eltz Castle… Just one look at it and you’ll see why it’s one of the most revered castles in all of Europe. I mean, if I could throw on a ballgown and pose in front of any castle, I think this would be the one. Sure, Burg Eltz (in German) or Eltz Castle (in English) is one of many enchanting castles that you’ll find in Germany… but (as many travellers will confirm), there’s just something uniquely magical about it. It could be that it’s one of the best preserved castles of its kind in the world or that it’s hidden deep in the forest, atop a 70m high rock. Or, perhaps it’s the intriguing history of it, and how it was never destroyed or overtaken. 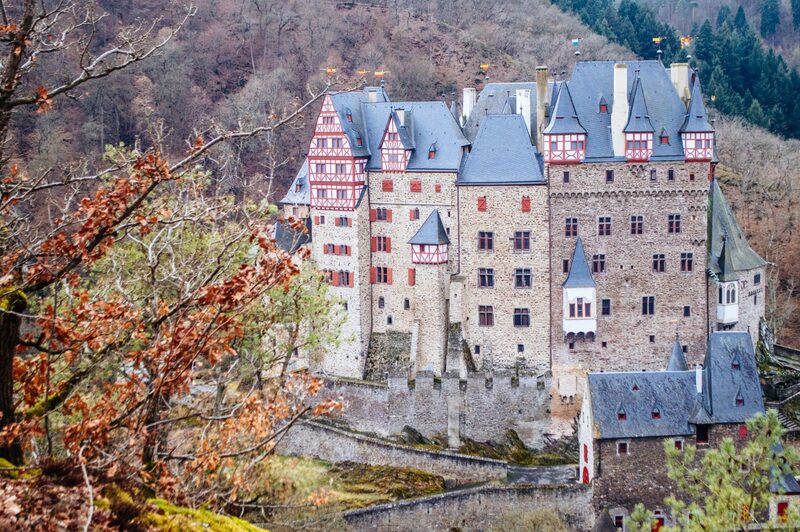 Yup – the Eltz family still owns it today, as it has for over 800 years. Regardless of the reason, it has to be said: you need to visit this place!! 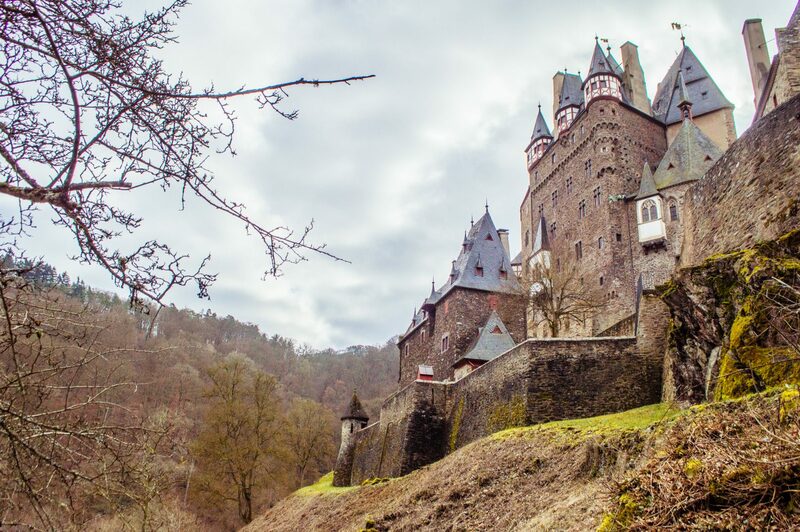 The following post will be a straightforward guide on how to see the beauty of Burg Eltz Castle for yourself. BUT, if you’re looking for a chuckle, you can read about my visit here, as part of a (semi-disastrous) German road trip. Anyways, restoration of the castle began taking place in the 19th century, under the orders of Count Karl zu Eltz, a resto job which had the price tag of what today would be 15 million Euros! More restoration work took place in 2009-2012, and the castle stands tall and pretty today for all of us to gawk at. You can read a more thorough historical record on the castle’s website. The castle is only open for tours from April 1 – Nov 1. You are free to visit the castle site any time of the year, but you’ll only be able to tour the inside during these months. I went during the off-season, and still had an awesome time, so don’t worry! The castle is hidden deep in the forest (magical hey?) and from the parking lot, you can either reach it by 1) walking or 2) taking the shuttle bus (which costs 2 euros each way and only runs from Apr – Nov when the castle is open for tours). There are two options to walk to the castle: a quicker, steeper and less scenic route on the private road (that the shuttle bus drives on). This is the stroller-accessible route. 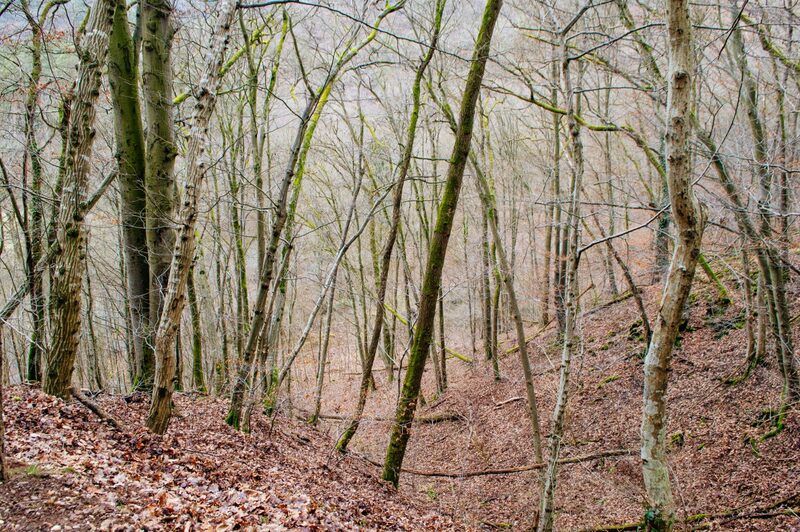 The second option is a less steep walk through the forest on a footpath (that takes a little bit longer). This was the path I took and I thought it was super easy and relaxing. The forest walk leading up to the castle. There is a cost to entering the castle! Adults will pay 10 euros for a ticket, with discounted prices for groups (9 euros each for 20+ people), students (6.50 euros) and a family pack as well (28 euros for 2 adults and 2 children). 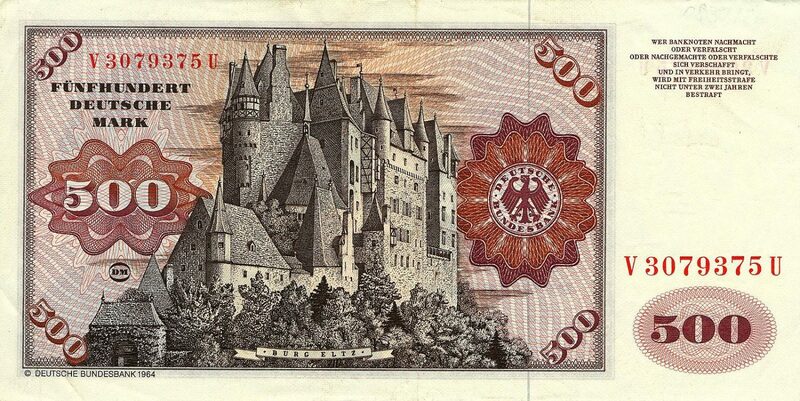 FUN FACT: The castle was featured on the German 500 Deutsche Mark note for over 25 years. Given its mystical, fairytale appeal, it’s probably no surprise that Burg Eltz Castle isn’t in the middle of any city. Luckily, there are a number of beautiful cities nearby that make a great base for visiting. Koblenz is the closest (about a 40 min drive), but Trier, Cologne, Mainz and Frankfurt are all less than 2 hours away as well, meaning it’s possible to do a day trip from any of these spots. NOTE: Trier might not be as well known internationally as the other cities listed above, but it’s a short trip from the castle and packed with fascinating Roman history. Definitely stop by if you get a chance! BY TAXI: If you don’t have a car of your own, you could hire a taxi to drive you to the castle. BY TRAIN: During weekends and holidays from May – October, you can get off at Hatzenport or Treis-Karden and then catch the Burgenbus (Castle Bus) to the car park. You can use the Deutsche Bahn website to plan your journey. If visiting in the off-season, the closest stop to the castle would be Moselkern, and from there you can make your way by taxi or by foot (about a 5km walk). BY PUBLIC TRANSPORT: On weekends and holidays from May to October, there is a special Castle Bus (Burgenbus) that leaves from Treis-Karden, Mueden, Moselkern and Hatzenport. More details here. BY FOOT: When the weather is cooperating, many people choose to hike to the castle! There’s a huge selection of trails that vary by length and difficulty. 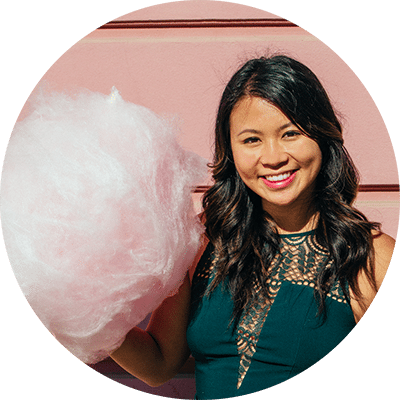 If you’d like to work for your view, here are some trails to consider. (YEAR ROUND) Admire the gorgeous facade. (YEAR ROUND) Hike around the area. PS: When at the castle, keep your eyes out for some castle ruins in the distance. This was the Trutzeltz, a siege castle erected by the Archbishop of Trier in the 14th century, and where he supposedly besieged Eltz Castle with many catapults and heavy stone balls. Medieval feuds, hey? (APR – NOV ONLY) Tour the castle. 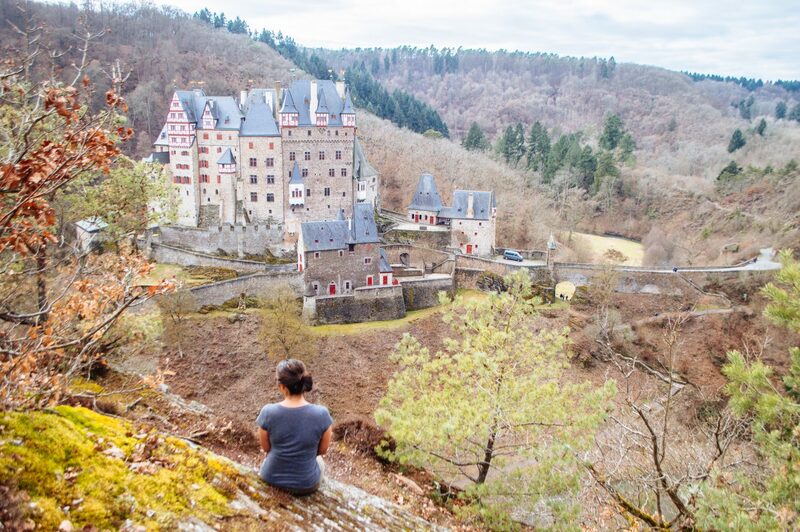 When it’s open for the season, Burg Eltz Castle hosts guided tours that last approximately 45 min. Be sure to clarify the tour times/languages when you arrive! Many tours will be conducted in German, but they do English, French and Dutch tours as well at specified times. If you don’t want to wait and feel like tagging along on a German tour, they also have translation leaflets for a variety of languages. 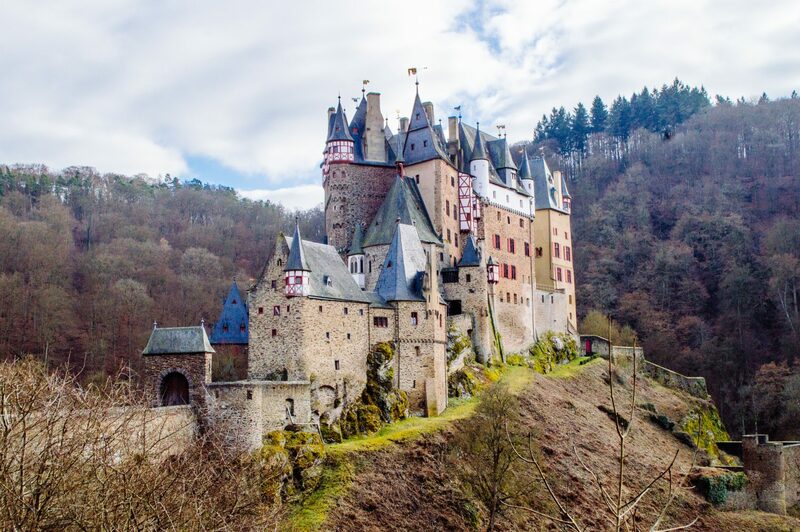 (APR – NOV ONLY) Visit the Burg Eltz Castle treasury. A guide is not required to visit the treasury – all you need is your valid ticket. NOTE: The displays are in German but keep your eye out for English flyers with translations. (APR – NOV ONLY) Grab a bite to eat at the castle’s restaurants. There are actually two restaurants on-site, where you can grab some hearty eats with an impressive view. According to TripAdvisor reviews, the food is apparently super delicious. (APR – NOV ONLY) Shop for souvenirs at the castle shop. This is where you’ll find (of course) the typical souvenirs, but also a wide range of medieval goods and fun replicas too. SO, in case I haven’t made it abundantly clear: Burg Eltz Castle is a real must-visit! After all, it’s gorgeous, architecturally impressive and well.. just plain magical. I hope you found this article helpful, and that you can see this beauty for yourself sometime soon! Let me know in the comments if you’ve ever been! The castle almost even looks like a cartoon! So pretty hey?! I could definitely see it playing a star role in a Disney movie haha. When I visit I’m definitely going to leave plenty of time to hike up to those different view points to get those great shots. I wish we could go this trip but we just won’t be in that area. Oh well, leaves me something to look forward to. Oh definitely do the little hikes! I was a bit of a whiner when my boyfriend wanted to climb the hills (because I was exhausted) but it ended up being SO worth it 🙂 Yeah it’s a shame you won’t get to see it this time around, but I’m sure it’ll still be here for you when you’re ready! Both fairytale castles in their own way 🙂 It might have been because I went in the off-season, but Eltz Castle was SO much less busy than Neuschwanstein, which made it all the more appealing. Hope you get to see it for yourself soon! Eltz Castle looks so beautiful and amazing! Definitely a place I want to visit in the near future! Thanks for sharing the info and your beautiful pictures. This castle looks amazing! So dreamy! Thanks for sharing! Wow! Eltz Castle does look like a fairytale castle. The location kind of reminds me of Into the Woods or some kind of fairy garden. My daughter would love this since she is obsessed with princesses and royalty. I’m pinning this for future reference. Such an exceptional and detailed post, Christina! I’ve never read a more informative post about the Eltz Castle! Ahh that is the sweetest compliment ever. Thanks, Agness!! 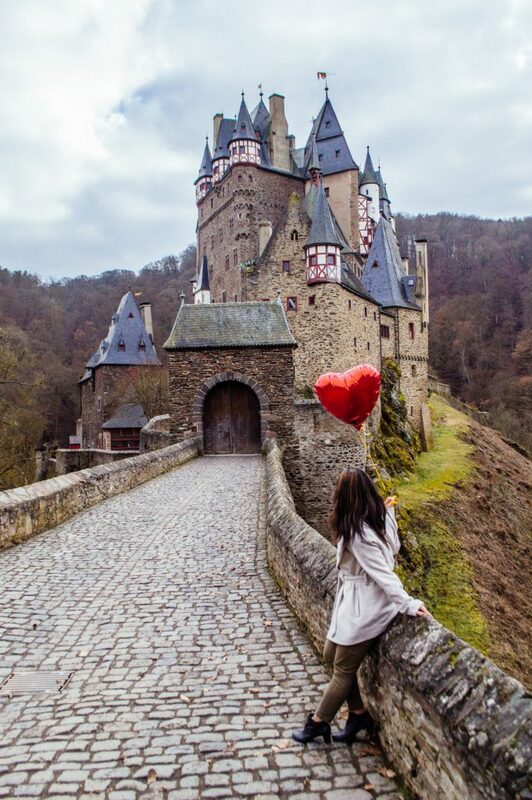 Great post on Eltz Castle in Germany. We spent three weeks exploring the divergent sides of Germany last summer. We snapped over 5k in photos! It’s truly beautiful. My family and I just traveled to Burg Eltz two weeks ago and it truly is a fairytale castle. I now consider it my favorite castle in all of Germany. We fell in love with the area and can’t wait to return! Thank you for all your tips, it definitely helped on our trip! That castle was an inspiration for the artwork for the animated film Hotel Transylvania. Another great way to visit this castle is to hike in from Moselkern. A great trail follows the Eltz river from that area and is now my favorite way to get to the castle (parked up top the first time). We really love this place! That sounds lovely!!! It’d be great to go back in the summertime and do some hikes around there. Thanks for the suggestion, Doug! Totally agree, I did the same! Moselkern is a bit sleepy village but it all felt very authentic – almost no tourists. And the hike is fairly easy. I’d love to hear your suggestions for more!